If you've got questions about lens index, then this little guide is the place you want to look first. It's time to brush up on some basic lens thickness knowledge with tips from the smartest folks on the EyeBuyDirect team! Lens index is a number that describes how thick or thin your lenses are. The higher a lens' index is, the thinner it becomes. Higher prescriptions require higher index lenses, while lower prescriptions require lower index lenses. What Are High Index Lenses and What's The Difference? High index lenses are thinner, more powerful lenses. They're lightweight and stylish, but are mostly reserved for those with higher vision correction needs. While most prescriptions are compatible with more than one specific index, it's up to you to decide which one fits your personal needs! The difference between your glasses' lens index can make a huge impact. Deciding which you should get depends on your prescription and your lifestyle. Thicker lenses are more affordable, but can only accommodate lower vision correction needs. Thinner lenses are lightweight (and more stylish!) and can accommodate MANY kinds of vision needs, including higher prescriptions. In terms of balancing price and quality, 1.59 index polycarbonate lenses accommodate most prescriptions and are extra durable. These conventional single-vision lenses come free with all EyeBuyDirect frames. However, they are only recommended for prescriptions with an SPH correction of approximately +/- 2.25 and below. For people with somewhat stronger prescriptions. These lenses are thinner and lighter, and handle SPH corrections between +/-5.00 and +/-4.00, and CYL corrections of +/-3.00 and below. 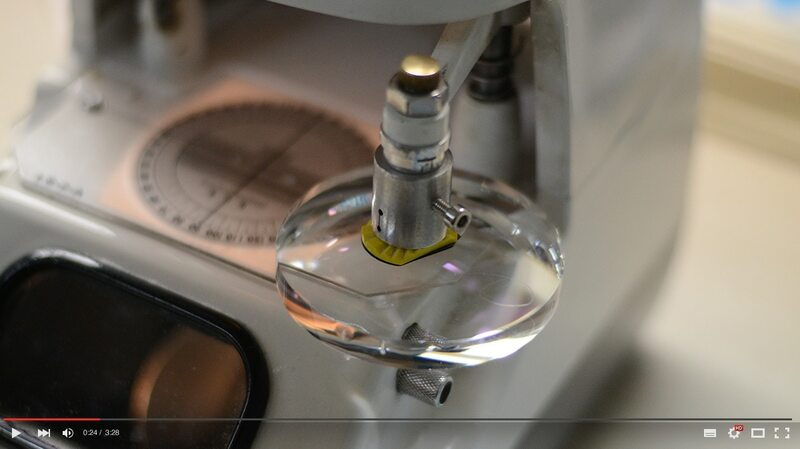 Lenses in this index are made out of a special polycarbonate material. This means they include 100% UV protection. They're durable and impact-resistant, which also makes them perfect for everyone with most prescriptions. Active people and children as well. Now we're entering "high index lens" territory. Stylish and super-thin, these lenses are an excellent choice for people with strong prescriptions around SPH +/-4.25 and +/-6.75, and CYL corrections around +/-2.25 and +/-3.00. These lens are even thinner. If you have particularly strong vision needs (SPH corrections around +/-7.00 and +/-9.00, and CYL corrections around +/-3.25 and +/-4.00) these are the best choice for you. Any thinner and they would disappear! These stylish lightweight lenses are best for prescriptions with SPH corrections around +/-9.25 and above, and CYL corrections around +/-4.25 and +/-6.00. Measuring your pupillary distance (PD) is super simple. While you can probably have your local optometrist help you measure it, you can also do it yourself! Just follow these easy steps on our special "How to Measure Pupillary Distance guide". The only thing you need is our free-to-print PD ruler.